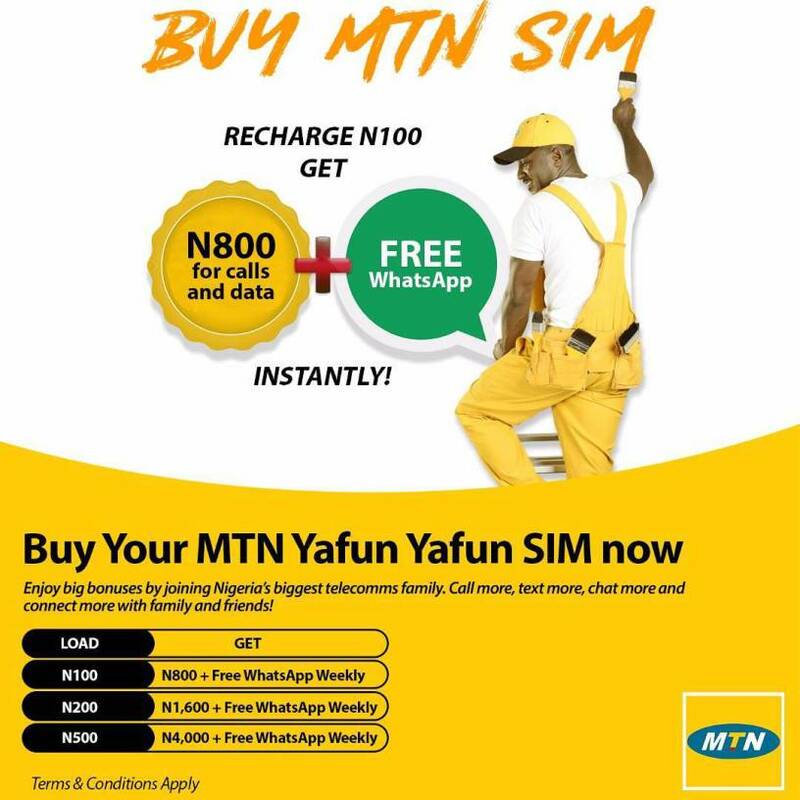 MTN Nigeria in a bid to surprise and appreciate its customers this Christmas season, launched the MTN YAFUN YAFUN SIM BONUS, that gives you 8x the value of your recharge from 100naira upwards, and free WhatsApp weekly. Say you recharged 100 naira, you will be given a bonus of 800 naira. Cool right? This bonus gives you the freedom to make longer calls, send more texts, and chat more. "i think i am loving this"
MTN YAFUN YAFUN SIM BONUS RANGE. Recharge of 100 naira = 800 naira + WhatsApp weekly. Recharge of 200 naira = 1600 naira + WhatsApp weekly. Recharge of 500 naira = 4000 naira + WhatsApp weekly. NOTE: For you to enjoy these amazing bonuses, you must purchase the MTN YAFUN YAFUN SIM card, as it is not something that can be migrated to. The Sim card is sold globally at any MTN experience centre nearest to you. So just walk in there, and grab your copy now. 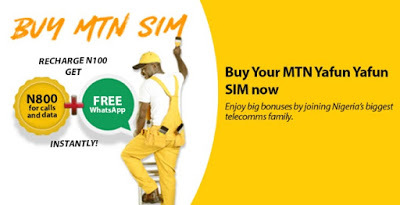 Please Share this article if you like it, to help others enjoy this amazing bonus from MTN this Christmas season. You can share it using the share buttons below. And don't forget to subscribe to our newsletter too..
Hello Emmanuel Godwin. I search for this sim in my area, but I was told that it is not available in that part. Please can you be more specific on the places we can get it.